Four-Storey Residential Castle-Type Building, Lot area: 1,200 sq.m., Floor area: 900 sq.m. 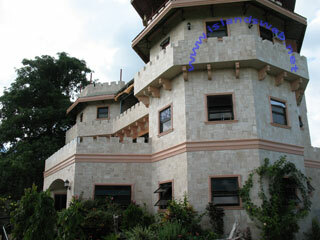 A four-storey residential castle-type building with 6 bedrooms and 4 toilets and bathrooms. The house has telephone and Internet lines. It has the full view of the ocean and the City of Tagbilaran. PRICE PHP 18 Million (negotiable). All closing expenses shall be shouldered by the seller.